Big River Campground is located south of Bend near Sunriver, Oregon, in the lush expanses of the Deschutes National Forest. Large, open group sites offer a perfect setting for family reunions or group gatherings and you can make reservations online. Big River provides the perfect place to launch a canoe or kayak into the Deschutes River, and many visitors brave the waters on inner tubes. Boat fishing or drift fishing is the best way to catch fish at this part of the river. Only non-motorized boating is permitted on the river, and the water is Class II flatwater for about 6 miles below Sunriver. Big River Campground offers three group sites that accommodate both tent and RV camping. The sites are equipped with picnic tables, campfire rings with grills and vault toilets. A boat ramp is provided and sites have easy access to the waterfront. In the campground, there is no drinking water and there aren’t electric hookups are available. 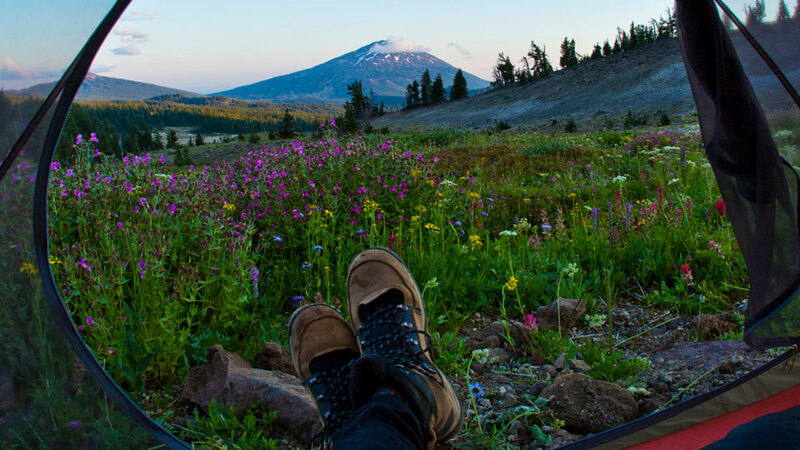 Nearby peaks, lava flows and old-growth forests throughout Deschutes National Forest provide visitors with a variety of landscapes, showcasing ecosystems typical of central Oregon.